Legal Scholar. Ironmaster. Signer of Declaration of Independence. 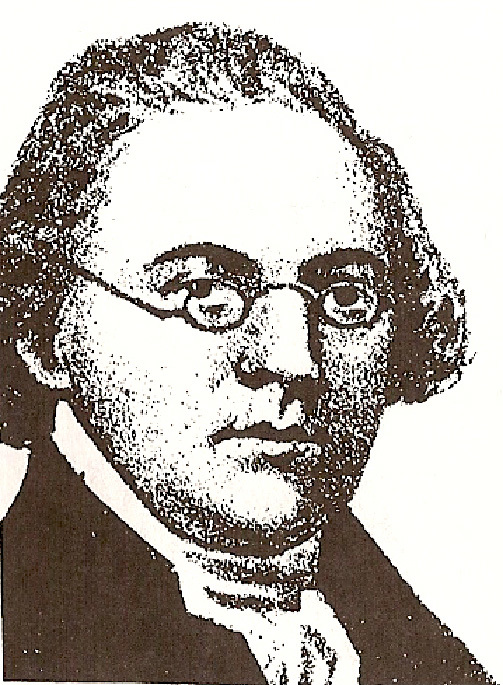 James Wilson was one of six men who signed both the U. S. Constitution and the Declaration of Independence. He was perhaps the most remarkable of all the nation�s Founding Fathers. ■ Wilson was a distinguished political theorist, politician, constitutional lawyer, member of congress, monetary theorist, manufacturer, and justice of the first U. S. Supreme Court. ■ He was born on a farm in Fifeshire, Scotland, September 14, 1742. He attended St. Andrews University and at 23 immigrated to the American colonies arriving in Philadelphia in the exciting days preceding the American Revolution. ■ He taught Greek and rhetoric at the College of Philadelphia before turning to the study of law. His writings on the American-British relationship stirred the colonies and put him on a peer level with men like Jefferson and Adams. ■ Wilson was in the forefront of the revolutionary movement and was one of the first to sign boldly the Declaration of Independence. He was one of the most important businessmen to sign and his production of iron for war contributed greatly to the American cause. ■ Wilson was profoundly impressed by the American dilemma of how to establish viable central authority so necessary if the Union were to endure while at the same time preserving the local rights the American people insisted on. ■ The American Constitution, to which he contributed substantially and which he signed, reflected his concern and holds his solution to the central authority-local rights dilemma. ■ As the nation�s foremost legal scholar of his time, Wilson was appointed associate justice of the U. S. Supreme Court by President Washington. He died in Edenton, North Carolina, August 21, 1798.